The CRSAD (Animal Science Research Center) is a non-profit corporation in Deschambault, Quebec that carries out and supports research and development in animal sciences according to a collective strategy, to enrich the expertise of various livestock industries. It operates on over 150 hectares of land and in a context of consultation and partnership. The CRSAD has research projects in seven agricultural sectors: apiculture, dairy and beef cattle, pigs, dairy goats, and hen and broiler chickens. At the CRSAD, we have had a honey bee breeding program running since 2010. We had isolated mating apiaries during the first years of the program, but had low mating success with them which I suspect was due to bird predation since they were in a forested area. We relocated the breeding apiary to an area near the research center, where we have had much improved mating success (85%). 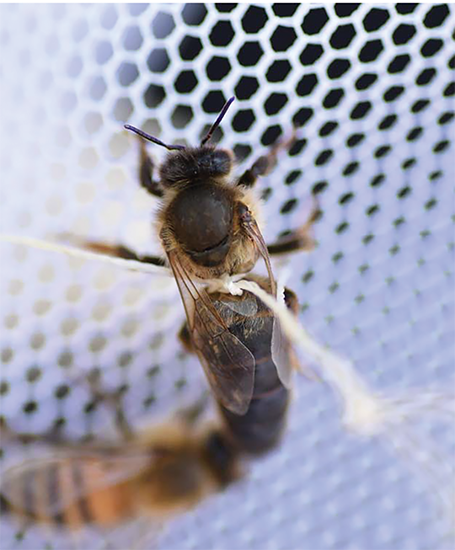 We produce a few artificially inseminated queens, but most of our queens are naturally mated. To control the origin of the drones mating with our queens, we flood the area with drones from selected breeding colonies. We select our breeders for honey production, hygienic behavior, brood production and winter food consumption; we run 100 colonies and select the 20 best ones to graft and raise drones with. 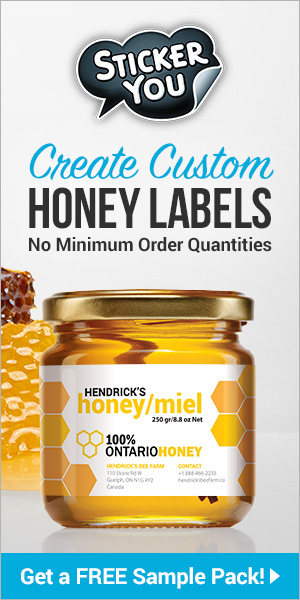 With the selected colonies, we create 120 nucs for the following year’s selection. For drone production, we put a drone comb frame in the middle of the brood chamber in eight to 10 of the selected colonies. This ensures the production of 20,000 to 30,000 drones every 24 days. Since we can’t be 100% sure that our queens really mate with those drones, we wanted to better understand the reproduction dynamics occurring with our mating apiary. The first step of this process was to find the drone congregation area (DCA) of our breeding apiary. A DCA is the area where sexually mature drones congregate and wait for virgin queens. This area is located at the same place year after year and the presence of a queen is not a necessity for its formation. DCAs are formed in areas protected from winds where flight is unimpeded. There are no obstacles within the DCA, but there should be some surrounding it for wind protection and to help the bees with orientation. In optimal weather conditions, drones in a DCA patrol a zone 100 – 200m wide at an altitude of five – 40m, and this area gets smaller in less favorable weather conditions. 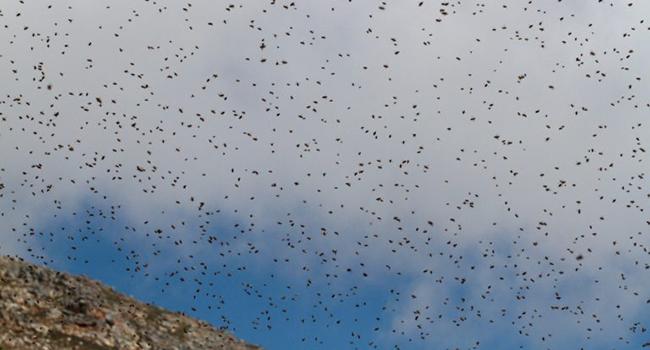 When a queen enters a DCA, a swarm of pursuing drones rapidly forms behind the queen in a comet shaped formation. The borders of the DCA are well defined, and when a queen leaves it, the drones rapidly cease pursuit. Most of the drones in a DCA come from nearby apiaries. More than 96% come from apiaries located at an average of 900 m from the DCA. They transit between their apiary and the DCA via migration pathways that can form in areas protected from winds by the landscape or by buildings. Only 0.5% of these drones successfully mate with a queen. From a biological point of view, the closer the DCA is from the apiary, the higher the chances are for a drone to successfully mate. Since drones wait for queens and can’t fly indefinitely, a short transit distance will increase the time they can spend in a DCA. Drones have two types of flight: short orientation flights of one to six minutes and long mating flights of 32 ± 22 minutes. Flight duration is limited by the honey they can stock in their crop and between two mating flights, they spend an average of 17 minutes feeding inside the hive. Drones don’t necessarily come back to their native colony, and can choose to stop in a colony closer to the DCA they are visiting. Weather greatly influences the flight activity of drones. Favorable weather includes a sunny or partly clouded sky, temperature in the 19-38ºC range and wind under 22 km/h. Normally, peak mating flight activity occurs between 2pm and 5pm. DCA localization techniques can be complicated and strenuous: listening for the buzzing of drones, queen observations, radar surveillance or landscape analysis. In 2014, Mortensen and Ellis developed a simple method that can be executed by a single person. This method consists of positioning drone traps in potential DCA areas that were identified beforehand via satellite imagery. This was the method that we adapted to locate our DCA. Figure 7. Identification of potential DCA areas with Google Earth. 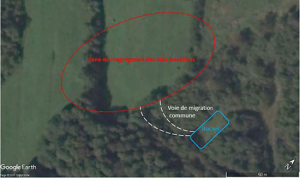 The first step was to use Google Earth software to locate potential DCA areas within a 1 km radius from our breeder’s apiary (areas in open fields with protection from wind). We identified 13 such areas that were further subdivided up to six subplots (figure 7). 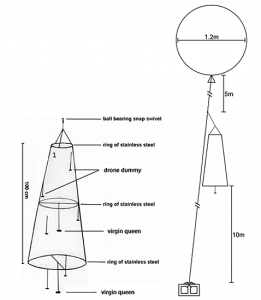 The three steel wire rings and the nylon tulle were sewn together to form a trap with a height of 40”, in a cone shape. The 8.5” ring was at the top, the 14” in the middle and the 20” at the bottom. The top of the trap was closed with tulle, but the bottom remained open. The cigarette filters were painted in black and randomly attached inside the trap with fishing line (approximatively 6-9” of line). A drop of hot glue was used to secure the filters to the lines; these represent drone dummies. We don’t know if the dummies are necessary, but since they were used in previous research and were cheap to produce, we put some in our traps. A fishing line was fixed across the middle ring and a second one across the bottom ring. In the middle of each line, we fixed a fishing line 8” long, ended by a small hook (figure 1). This small hook serves to easily attach and remove queens from the trap. We used three short pieces of fishing line to bind the top ring of the trap to one end of the two-way ball bearing swivel. To the other end, we fixed a 35” kite line and the end of this kite line was bound to one end of the three-way ball bearing swivel. A 15’ kite line was fixed to another end of the three-way swivel and served to tie the balloons. The remaining kite line (125’) was tied to the last end of the three-way swivel. Figure 1. Schema of the drone trap model on the left (adapted from William, 1987) and on the right (Mortensen and Ellis, 2014). To help us estimate the height of the trap, we put paint marks on the kite line every 15’. We also built a homemade reel with a wood plank, 12” nails and a plastic tube (google would help you with that). 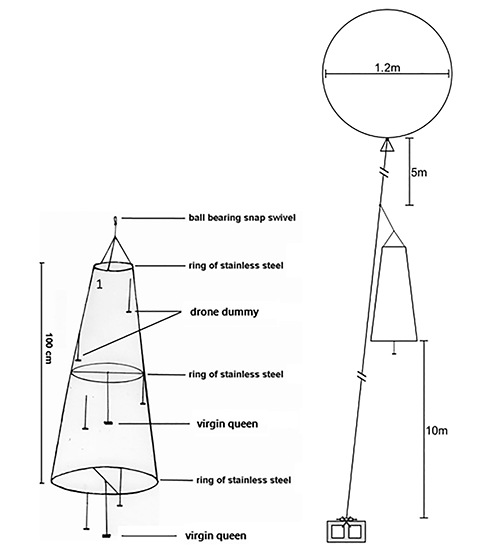 The steel nuts are fixed to the bottom ring to prevent the trap from being pushed horizontally by the wind; you can adjust the quantity to match your weather conditions. We used two 36” party balloons, which are much cheaper than weather balloons, but also more fragile. The grass is as sharp as a needle for an inflated balloon! 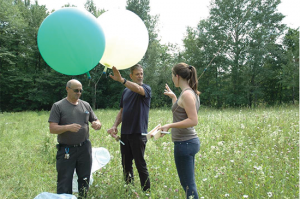 One balloon didn’t have enough lift power and three balloons offered too much wind resistance, which tends to send the trap close to the ground, unable to gain height. We found that two of the balloons worked well. To be able to reuse the balloons on multiple days, we cut a 50 mL plastic test tube and secured it to the balloon with a rubber castrating ring. This allowed us to inflate and deflate the balloons at will. Figure 2. Virgin queen tied with sewing thread. We tied the virgin queens with a 4” sewing thread between the abdomen and the thorax (figure 2). You need to be careful to avoid tying the queen’s legs or wings. The sewing thread with the bound virgin queen was fixed to the small hook of the free fishing line; one on the middle ring and one on the bottom ring of the trap. We replaced the queens after one hour to prevent them from dying of exhaustion. Since we needed to add weight with steel nuts to our traps, we believe that using plastic queen cages would be an interesting option instead of tying queens with thread, which is a difficult task to complete. We will try using plastic cages in future tests. Giovenazzo (middle) and Aude Sorel (right). Next was the drone hunting part. During the afternoon on sunny days, we went onto a field identified with Google Earth as a DCA potential zone (figure 5). Since the DCA size is quite small, instead of fixing the traps on the ground, we patrolled the whole DCA potential zone. Two people patrolled the zone in an “S” pattern, maintaining the trap at an elevation close to 30’; when higher than 30’, it is difficult to see the drones in the trap. When drones were seen entering the trap the evaluator stopped and waited 20 minutes. After the time was elapsed, the trap was lowered, and the drones were counted. If the count was below 50, the evaluator moved further away in the zone. If the count was over 50, a second measurement over a 20 minute period was done to confirm the DCA (figure 3). Figure 3. Drone trap in action. When you count 20-30 drones over a 20 min period, this is a possible indication of a migratory pathway, and you can try following it until you reach the DCA. 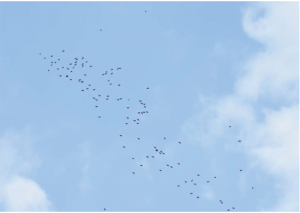 You can also use visual and auditory cues to locate a DCA such as the direction drones are taking when leaving their hive, the buzzing of the drones in flight when you are close to the DCA or the formation of drone comet (figure 4). Figure 4. Comet of drones pursuing a virgin queen. We patrolled half of the potential DCA zones before finding a DCA which was only 60 yards away from the breeding apiary (figure 6). The drones were going through a small patch of trees to access an open field highly protected from winds by the trees and by a small hill. On days with weak winds, the DCA extended over the treeline bordering it (left side in figure 6). During our hunt, we had a windy period with winds of 15-20 mph/h but still got lots of drones in our traps at the DCA, so even if the weather conditions are not optimal, you can still find a DCA. Figure 6. The apiary in blue, the migratory pathway in white and the DCA in red. We tested half the potential DCA areas identified by with Google Earth, and only found one DCA. By the distance from the apiary and the number of drone comets we were observing, we are confident that most of our selected drones were going there. Still, we intend to test the other half of the identified areas as well as marking selected drones, and trying to capture them back at the DCA. These are future projects. Eventually, we also would like to find a way to track queens, and observe if they are going to other DCA areas that are further away. I would like to thank Émile Houle (CRSAD) for the design and building of the drone traps as well as the field support. I also thank Pierre Giovenazzo (Université Laval) for traineeship supervision. Pictures in this article are from Aude Sorel and Mélissa Girard. First published in BeesCene, from the British Columbia, Canada Beekeepers Association. Heather Sosnowski, Editor. Clement, H.; Bruneau, E.; Barbancon, J. M.; Bonnafe, P.; Domerego, R, Fert, G.; Le Conte, G.; Ratia G.; Reeb, C.; Vaissiere, B. (2015). Traité rustica de l’apiculture(le) n. Éd., Rustica, 528. Galindo-Cardona, A.; Monmany, A. C.; Moreno-Jackson, R.; Rivera-Rivera, C.; Huertas-Dones, C.; Caicedo-Quiroga, L.; Giray, T. (2012). Landscape analysis of drone congregation areas of the honey bee, Apis mellifera. Journal of Insect Science, 12: 122. Koeniger, N. ; Koeniger, G. (2004). Mating behavior in honey bees (Genus Apis). TARE, 7, 13–28. Koeniger, N. ; Koeniger, G. (2005). The nearer the better? Drones prefer nearer drone congregation areas. Insect Soc 52, 31-35. Koeniger, G. ; Koeniger, N.; Ellis, J. ; Connor, L. (2014). Mating biology of honey bees. Wicwas Press, 50-75. Koeniger, N.; Koeniger, G.; Gries, M.; Tingek, S. (2005). Drone competition at drone congregation areas in four Apis species. Apidologie 36, 211–221. Koeniger, N.; Koeniger, G.; Tingek, S. (2010). Honey Bees of Borneo. Exploring the Centre of Apis Diversity. Natural History Publications. Kota Kinabalu, Borneo, 262 P.
Loper, G. M.; Wolf, W. W.; Taylor, O. (1987). 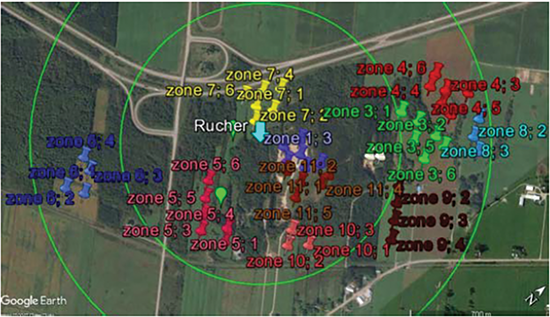 Detection and monitoring of honey bee drone congregation areas by radar. Apidologie, 18(2) :163-172. Loper, G. M.; Wolf, W. W.; Taylor, O. R. (1992). Honey-bee drone flyways and congregation areas – radar observations. J. Kansas Entomol. Soc. 65, 223–230. Mortensen, A. N.; Ellis, J. D. (2014). 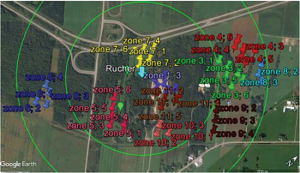 Scientific note on a single-user method for identifying drone congregation areas, Journal of Apicultural Research, 53:4, 424-425. Ruttner F. (1956). The mating of the honeybee. Bee World 3:2-15, 23-24. Ruttner, F. (1985). Reproductive behaviour in honeybees. Fortschr. Zool. 31, 225–236. Scheiner, R.; Abramson, C. I.; Brodschneider, R.; Crailsheim, K.; Farina, W.; Fuchs, S.; Grünewald, B.; Hahshold, S.; Karrer, M.; Koeniger, G.; Koeniger, N.; Menzel, R.; Mujagic, S.; Radspieler, G.; Schmickll, T.; Schneider, C.; Siegel, A. J.; Szopek, M.; Thenius, R. (2013) Standard methods for behavioural studies of Apis mellifera. In V Dietemann; J D Ellis; P Neumann (Eds) The COLOSS BEEBOOK, Volume I: standard methods for Apis mellifera research. Journal of Apicultural Research, 52:4, 1-58. Soland-Reckweg, G. (2006). Genetic differentiation and hybridization in the honeybee (Apis mellifera L.) in Switzerland. PhD thesis, Universität Bern, Bern. Williams, J. L. (1987). 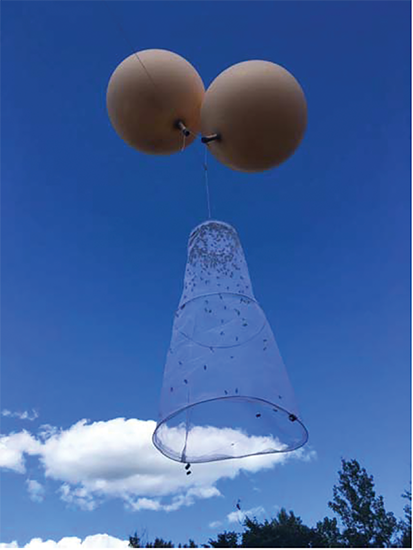 Wind-directed Pheromone Trap for Drone Honey Bees (Hymenoptera: Apidae), U.S Department of Agriculture. Witherell, P.C. (1971). Duration of flight and of interflight time of drone honeybees, Apis mellifera. Ann. Entomol. Soc. Amer. 64:609-612. 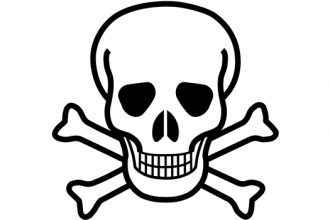 Do Pesticides Kill Honey Bees?